I loved Carolyn Friedlander’s line Architextures. It’s getting hard to find, but her new line Botanics is most certainly the next big thing. It started popping up here and there after Quilt Market and now it’s just hitting shelves. I got mine from Fat Quarter Shop when they were offering 25% off on black friday. I gotta tell ya, I was sorely tempted by the beautiful stack of fat quarters. It’s just so pretty! 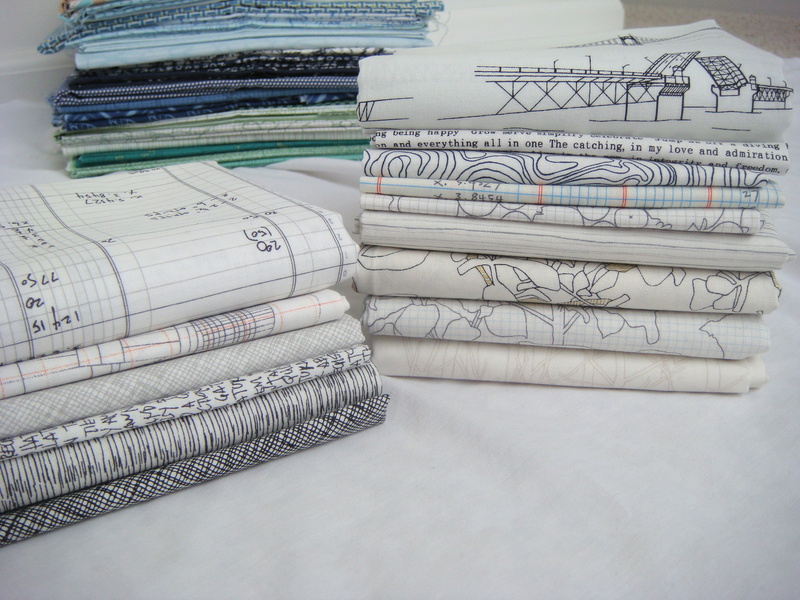 But I’ve been quilting long enough to know that, for me, fat quarters are never enough. It makes more economical sense to force myself to choose my favorites and buy half yards. My initial plan is to not have a plan. Ha! Seriously though. I am going to start the first few rows and then see how it develops. When I made my first version I definitely planned each fabric selection very specifically before I started sewing. They alternate with quite mathematical precision! This time it’s a bit more complex because I’m planning to use quite a few more fabrics, so I’m just going to take it one row at a time. Eventually a more specific plan will form, I promise. The pattern works outward from the middle. The first row we sew will be the hourglass row at the center. From there we’ll sew both the adjoining rows and work out until we have completed the central X of the design. From there we add the top and bottom borders and we’re done! It really does come together quite quickly. The trickiest part is lining up the triangles but we’ll worry about that next year. I’m so excited to see what you guys are thinking about using for your fabrics! Please do not hesitate to ask questions. I love talking about this stuff. 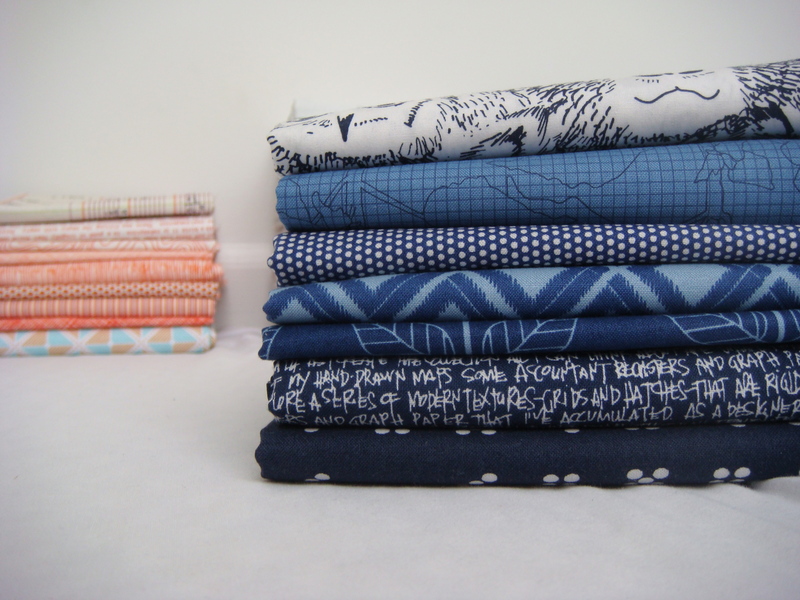 If you’re on Flickr please upload your fabric stacks here! If you’re not on Flickr you should consider joining, especially if you don’t have a blog. We’re all going to want to see your quilt! Linking up with Lee for WIP Wednesday. It’s an official WIP once you’ve got fabric and a pattern… right? Oh, and if you’re new around here, you can always catch up on everything Barn door quilt-a-long related by clicking its tab at the top of the screen! This entry was posted in Barn door quilt-a-long, Uncategorized and tagged Architextures, Barn Door Quilt, Barn door quilt-a-long, Botanics, Fabric selection. Bookmark the permalink. 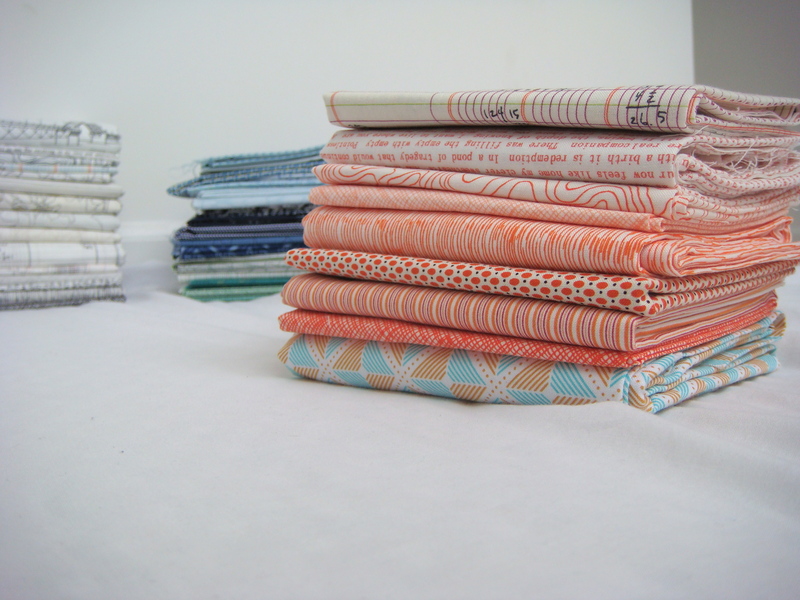 ← Sew mama sew giveaway! Brilliant fabric choice, and yes, it’s definitely a work in progress once you’ve sorted out the fabric. Lovely clean colours and airy prints. I love those Botanics. I can’t wait to see how you get on. I’m always surprised by how far I can make a FQ go! 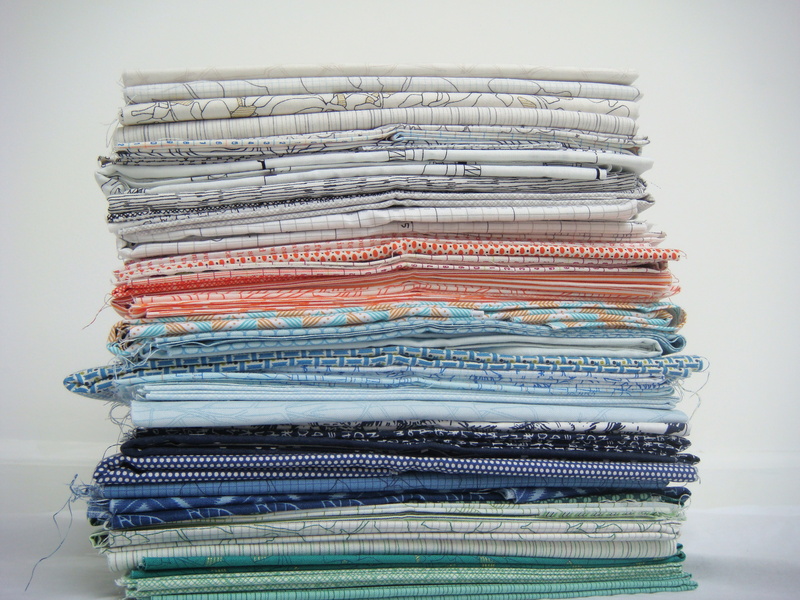 I find I’m either working off the same dang FQ cut forever, or I buy yards and yards and yards of something. I *did* buy the Botanics FQ stack and I am currently letting it “cure” in my stash. So, you know, it is properly aged when I get to it. I’m thinking there might be pastel-ish-es and lots of white Memoir in mine. Gotta sew sew sew so I can join right in! Your fabarics choice are yummiest! I love all those fabric choices! How can they not turn out beautiful! I have been away too long…. Starting a Barn Door quilt along? I missed that! Your fabric pull is sure sweet, Sarah! I feel the same way about FQs! But it gets me in trouble because then I buy too many half yards. Lol 🙂 LOVE your fabrics – omg! I love the fabric too – I also got 1/2 yards of all of it with FQS 25% of sale :-)….+ I got the wide 108 in orange and blue for quilt backings. I will say I might have to go back for more botanics too….I love it so much. Great color choices! Can’t wait to see how these come along. I agree about the half yards vs. fat quarters. I think. lol. actually, I’ve been buying regular quarter yard cuts lately, but mostly for penny patch or other strip quilts where I need only a bit, but want it long. anywho. I love your pull! such great colors and pattern picks. I mostly missed out on architextures and am feeling the squeeze of the fabriholics fast as you mention botanics. yikes! i’ll survive, I will. (mild hyperventilating – at least inside.) with the number of great fabrics you picked, you might only get one strip of each. I’m excited to see how it plays out in contrast to your mathematically placed version. =) I realized after looking at your original again, that I probably selected too many different fabrics since I’m going to go the easy route and do the math thing. that’s okay, I can always put some back. looks like we have a fun group of some of my favorite quilters ready to quilt-along in january. yay! You have some wonderful fabrics there. I have been eyeing off a few of the new Architextures range too….. 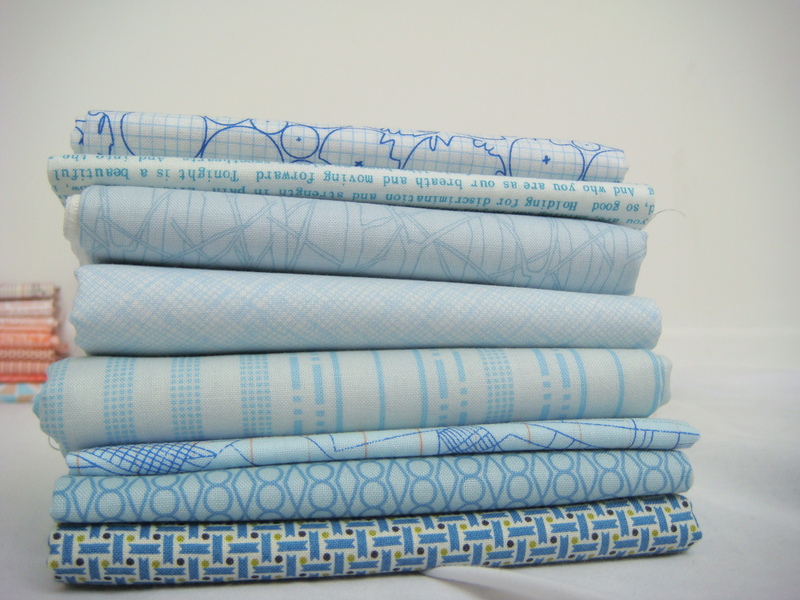 The fabrics you pulled are going to be gorgeous together. I can’t wait to see this come together. I must figure out what fabrics I want to use on mine. Thanks for the inspiration! I’m drooling! Those are lovely! And yes. Once you have a plan and some fabric, it TOTALLY counts as a WIP! I’m still turning this one over in my head. 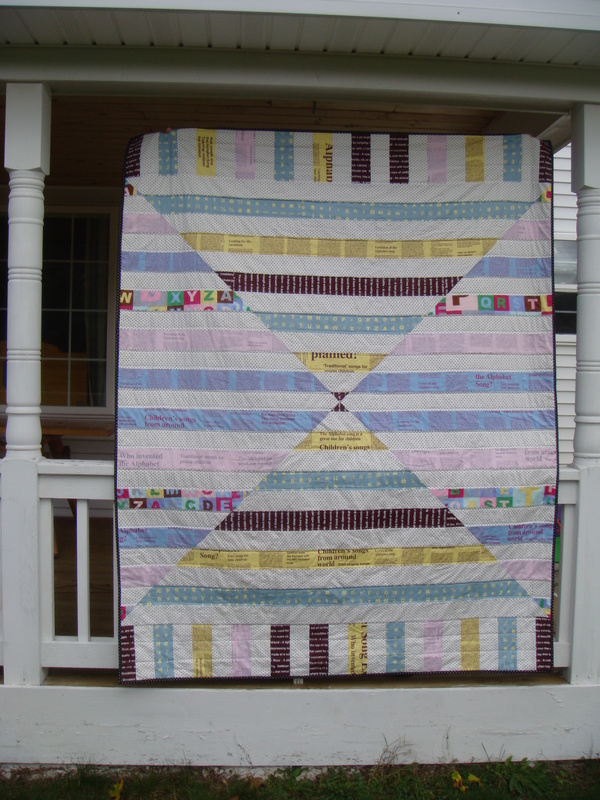 If I try to downsize it and use jelly roll strips, I’ve got some options already, which run in three different directions. 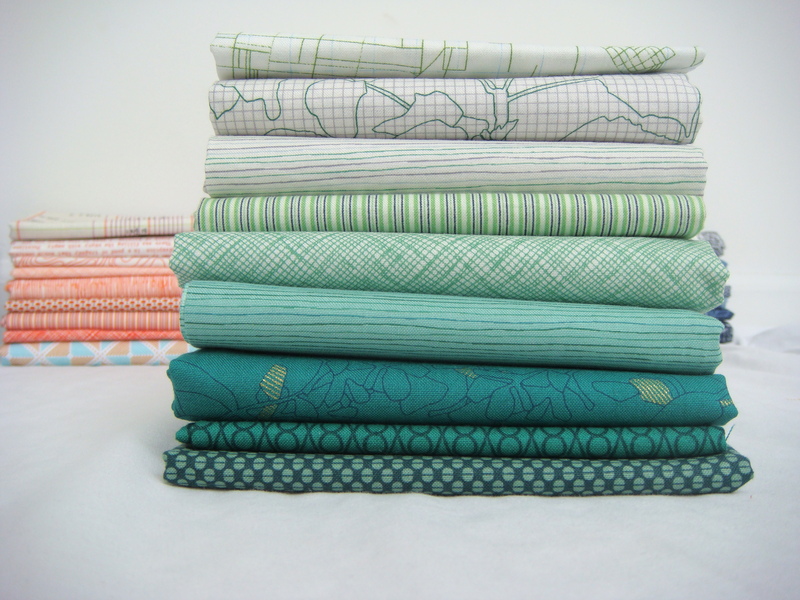 I’ve got a Jelly Roll of Tula Pink’s Plume line, one I put together based on a quilt made by……… Ashley at Film in the Fridge (had to think about that! using Tufted Tweets from Laurie Wisbrun), and one from a Studio E line of fabric that I don’t know the name of. Kind of oranges and teals and purples. Dunno. Pingback: WIP – 1/1/14 | What the Bobbin? Hi, I would like to subscribe for this weblog to get newest updates, therefore where can i do it please help. at this site, and article is actually fruitful in favor of me, keep up posting such articles. produce a good article… but what can I say… I procrastinate a lot and don’t manage to get anything done. only texting. The fixed screen sections are extremely airtight and you’ll be able to thus, rely on them. It is quite simple to make use of Facebook advertising. I do think that you need to publish more on this issue, it might not be a taboo subject but generally people don’t discuss these subjects. you can effortlessly see what other people have to say about it. Head on on to iPhonenowunlocked and study upon present tech news. Make sure to carry on holding the Home button. It’s sensible to improve each site for about 3-4 different keywords. if it will be clear and quick. If you have the SHSH blobs saved for iOS four.2 Beta 3, you will see “SHSH: four.2b3” in the standing. if you require to but don’t forget Cydia. stuffs excellent. All the time care for it up! In an untethered jailbreak, your gadget stays jailbroken even following a reboot. there is still a chance that problems can occur. large amount of it depends on your unique situation as well as outlook. discover the item effectively, before you move ahead to a thriving strategy. to reach your goals and also just what still might not profit you. seek out a lot more successful concepts and outlooks. be right now. You are so intelligent. You know therefore significantly in the case of this topic, produced me individually believe it from numerous various angles.